Home / Journal / Czech & Speake are Revolutionising Men’s Grooming. Here’s how. Czech & Speake are Revolutionising Men’s Grooming. Here’s how. A good hot bath is one of the most intimate, easily enjoyed pleasures in life. More than a matter of cleanliness, this simple act within our daily routine has different meaning for each civilisation and culture around the world. Wherever you are in the world, the bathing experience is a ritual that you enjoy in a private space, where you can be truly alone and contemplate, meditate and delight in personal care. And it is for this reason that Frank Sawkins, founder of heritage driven Czech & Speake, created a brand that focused unwaveringly on the whole holistic bathroom experience, providing the best grooming tools and products on the market. Four decades on, the family-owned business is globally known for its fragrance, men’s grooming and luxurious bathing concept. Timeless and elegant in form and design, Czech & Speake epitomises quality bound in a classic, English understated style. But the road to bathroom revolution was long. An Englishman with a background in product and architectural design, Sawkins first Interior Design Studio was launched in 1976, and spent time working on renovation projects for clients. It was during this time that he identified a niche in the market and began to reinvent the traditional English bathroom. In the years that followed, Sawkins stayed true to his lifestyle vision, and took it upon himself to bring men’s grooming and bathing indulgences to his peers. 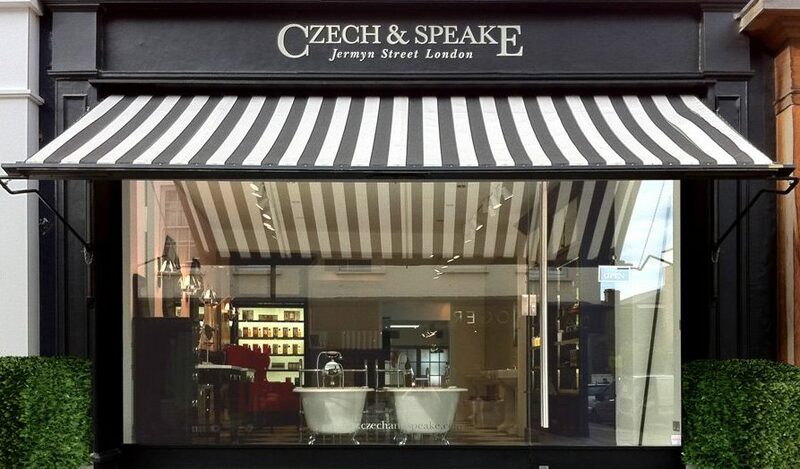 Today, Czech & Speake’s extensive collection includes fine fragrances, cologne, bath oils, aftershaves, shaving and bath soaps, shaving kits as well as burning sticks and candles, leather goods and towels. There are nine fragrances in the range, all made using the purest essential oils and ingredients and presented in bottles inspired by traditional pharmacy bottles, featuring unique livery and etched glass. One such of these scents, the iconic No.88, is Czech & Speake’s bestselling fragrance. A complex, characterful blend of exotic, spicy notes with a warm, dry base, Sawkins’ inspiration behind his fragrances was again to bring what grooming means to the world into one range of products. As such, the scents pay homage to, among other locations, the vibrant country of Cuba. Neroli is also cherished for its refreshing blend and Napoleonic roots, Frankincense & Myrrh takes its inspiration from the orient to the west, and Citrus Paradisi transports one to the grapefruit plantations of La Quinta California. Oxford & Cambridge is a traditional yet contemporary blend of lavender and bergamot, Dark Rose is a bold, mysterious deep rose and wood blend, and Mimosa captures the sensual blooms of the American deep south. It is the success of these fragrances – enjoyed by everyone from Colin Firth to David Beckham – that has given Sawkins the confidence to expand his range to luxury shaving products, beautifully designed and engineered to look great on your bathroom shelf but also serve a practical purpose. “I want to surround myself with aesthetically pleasing products which are beautifully made while creating a useful product,” says Frank, explaining that even the simplest of products can be elevated by design. And design he has. Sawkins has always been on a mission to create ingenious products using luxurious materials; he made a Zebrano wood shaving set, 24k plated manicure instruments bound in exquisite leather developed after the craftsmanship of English tanneries, and created limited-edition products from 5000-year-old fossilised Oak. And it’s not just this innovation – Sawkins has also revolutionised the practical side of grooming as well. After designing an innovative travel safe, airport-approved manicure set that was well-received internationally being awarded for its design. The next step for Frank Sawkins and Czech & Speake as a whole is the launch of a full-leather collection, to support and style today’s dynamic gentleman. Created with decades of English heritage in mind overlapped on a cosmopolitan active and social lifestyle, the range includes three types of practical, elegant wallets and three sizes of travel washbags. But after that? Who knows. Czech & Speake are the last true innovators in the British grooming industry – and ones to watch.